Child care, Orphan care and Teaching Project Jeffrey's Bay. Do you want to work with Children adding Hope and Love into their lives whilst staying in a Beautiful Coastal Village? If so Then this is the perfect project for you. “Share your Love and Care with Underprivileged Children in Jeffrey's Bay, World re-known for our beautiful beaches and surfing spots"
This project is all inclusive with Meals and Accommodation. 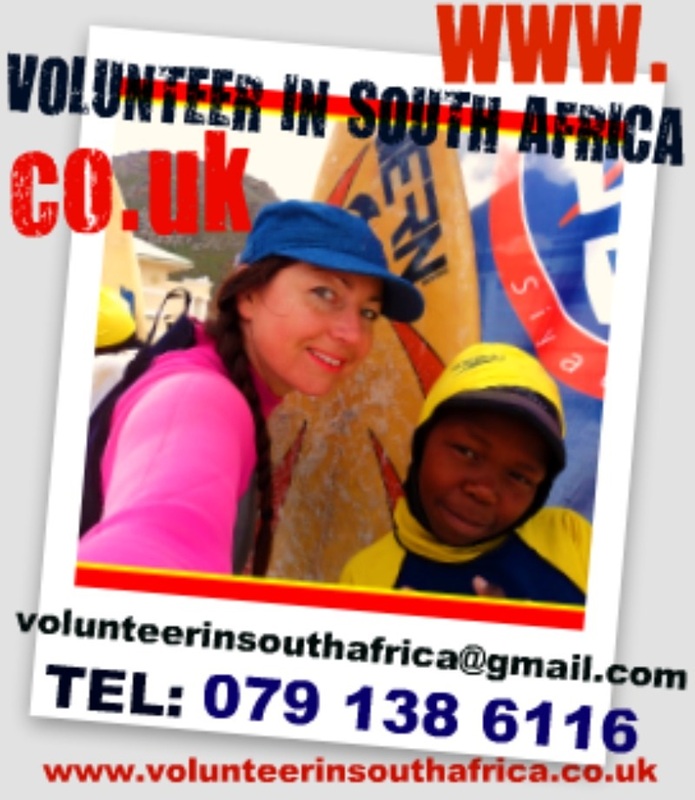 Enjoy your time adding Hope and love into Children's lives whilst living close to the beach in beautiful South Africa. The Leaders at the child care say: "We saw the need at our local township to teach life skills to the children, so we decided to come alongside the children and invest in their lives showing them the love of Christ and teaching them life skills. The children that we work with come from very poor backgrounds. We encourage the children and help within the school and child care centre with activities for the children. We saw that the Childcare Centres needed assistance so we decided to come alongside the Care Centre and school within the Sea side Town of Jeffreys bay and assist them. These Centers were started out of a desperate need for education, parenting and caring. Many of the children were left alone to care for themselves or were being looked after by members of the community whilst their parents worked. Some of the children have no parents and are orphaned. We encourage the children and help within the school and child care center with activities for the Children. As a Volunteer you will assist the teacher in teaching the children new skills, Bible Study, Pray and worship, arts and crafts and helping with general activities. The children really need 1 on 1 interaction. If you want to prepare a lesson or Bible study with the children, then you are welcome to liaise with the classroom Teacher to do so. *Church on Sundays, we all attend Victory Church in Jeffrey's Bay. *Building Projects - helping fix peoples homes only when we have funding to do so. Please do let us know on arrival during Orientation, what you expect from your time here with us? and what your talents are. Its in our best interest for you to have the best time whilst you are with us and we want you to feel like your time has impacted the Less Privileged people to the fullest whilst you are with us. This program runs daily – Monday to Friday Except for school Holidays. During the school holidays you are most welcome to get involved in our other activities within the Community. We help our at our smaller child care centers during school holidays. Please note school holidays are: 29th March - 9th April, 23rd June - 16th July, 27th Sept - 8th October, 11th December - 16th January, the schools are closed on these dates, however our other projects do still run on these dates, our volunteers help at the smaller child care centers and doing house to house visits over school holidays. Our project runs all year round. Volunteer programs begin every Monday of each month (Please arrange for your flight to arrive at PORT-ELIZABETH Airport on a Monday) If this is not possible then we will make a plan to collect you on a Tuesday, however we do prefer it if you can arrive on a Monday. Volunteers can choose from 1 week to 96 weeks. Prices include Airport pickup and drop off on departure and a warm welcome from our staff, Accommodation, 3 meals a day from Monday to Sunday. (We do cater for food allergies as long as we know 2 weeks before your arrival), Safe and Secure and Neat Accommodation, Pick up and Drop off for Church on Sundays and a welcoming Orientation to the area. You will have the weekends free to explore the garden route at your own cost to hire a car. Car hire is around $25-$30 a day (the volunteers usually hire cars together). We do have a tour agent that organizes discounted rates on tours and safaris. Please ask us for the information via email before arrival. Prices exclude flights, travel insurance and visas. (You will be given a free 90 days visa on entering the country) As long as you hold an EU, BRITISH OR AMERICAN PASSPORT. · Registration Fee – Web-design Costs, Program marketing costs, administration costs, Volunteer in Sa fund and feeding the Less Privileged people, communication costs with volunteers. · Volunteer Program Fee – Airport pick up/Airport Drop off, Free meals 3 meals a day, Neat, clean and secure accommodation, Orientation around the area, Program supervision and welcoming by staff at airport, Safe, running costs, Internet free wi-fi, transport to and from Church on a Sunday. Please bring your own sleeping bag and pillow cover. A clean sheet and pillow inner will be provided. Please note all our fees are in the currenty USD Rate, if you are using a different currency then please compare it with our USD rate in the time table above. · Visa (you will get a 90 day visa on entry to South Africa free of Charge if you hold a : UK, USA, OR EUROPE PASSPORT), flights, Travel insurance. · Mobile phone. A variety of mobile network carriers provide good coverage for both mobile phones as well as internet facilities. You may let your service provider know you are coming Abroad, or you may buy a South African Mobile Phone at the cost of around $20 for a cheap phone and wi fi for around $5 a week. The cheapest option is to buy a South African phone here. Please ask our staff for proof of Adress so that you can take the letter with you to buy the phone. · Watsapp and Viber do work in South Africa to message abroad (as long as you have a android phone, Smart Phone or Blackberry phone and you may put roaming on your phone before departure). It is normally much more cost effective to locally purchase pay-as-you-go air-time and data bundles compared to roaming options. · Spending money for essentials, souvenirs, etc. · If you wish to do activities on the weekends then you will need to bring extra money for this. · flights and Travel insurance need to be booked by you at your own cost.